US Ambassador to Russia John Tefft. Russian Deputy Foreign Minister, and Special Presidential Representative for the Middle East and Africa, Mikhail Bogdanov, and U.S. 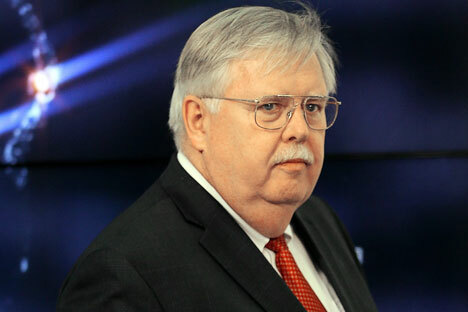 Ambassador to Russia, John Tefft, addressed the upcoming intra-Syrian negotiations at a meeting in Moscow on Jan. 27. "During the conversation, primary attention was given to the facilitation of the soonest possible political settlement of the crisis in Syria based on UN Security Council resolution 2254, and in the context of the launch of negotiations under the UN aegis, between the Syrian government and opposition representatives, planned for January 29, in Geneva," the Russian Foreign Ministry said in a statement available on its website. The meeting was arranged at the U.S.' initiative, the ministry said.